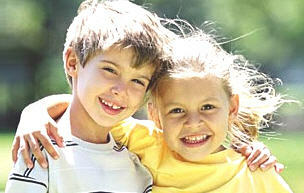 Check out www.AmesPediatricDental.com, dental care for infants and children! Our practice is happy to provide pediatric dental services for our smallest patients. Our pediatric dental specialist, Dr. Deborah Grandgenett and her caring staff at Ames Pediatric Dental, are dedicated to providing your child with gentle, quality dental care and are committed to enhancing the dental health of your child through education and motivation. It is the goal of Dr. Grandgenett and her staff to help your child feel good about visiting the dentist and to teach your child how to care for their teeth. We encourage and promote regular preventive dental care so your child may enjoy a lifetime of good dental health. We offer our patients, state-of-the-art pediatric dental care that includes: general cleanings & exams for children and people with special needs, orthodontic screening, fluoride treatments, nutritional counseling, sealants, fillings, crowns, in office sedation dentistry, hospital care, custom fit mouth guards and extractions. Dr. Deborah Grandgenett is board certified in Pediatric Dentistry by the American Academy of Pediatric Dentists. Please feel free to contact Dr. Grandgenett at Ames Pediatric Dental by calling (515) 956-3423, if you have any questions or would like to schedule an appointment. Click here to download and fill out new patient registration forms prior to your visit.